Electric boilers are a method of heating hot water for your heating system using only electricity. A typical boiler uses gas to heat the water, whilst an electric boiler can be used in off-grid areas, or where a gas supply is either not wanted or not possible. The boiler itself is very simple. It can come in various shapes and forms, but typically you will see a unit that has the water running through it, being heated via a heating element, just like you would a kettle. You will sometimes see long slim units that are designed to create maximum surface area to heat the water. Electric boilers can be advantageous in certain situations. They are very simple pieces of technology, so they don’t need a lot of space, and can be placed almost anywhere in a property because they don’t need a flue or a gas pipe run to them. Very little heat is lost in the process of heating the water, so electric boilers are almost 100% efficient. They tend to be easier to install and they obviously don’t need a Gas Safe engineer. The simplicity of the system and the installation process means that the overall cost of installation is going to be much less than a gas boiler. Of course, if electric boilers were the best solution, you would see them everywhere, but you don’t. Gas is considerably cheaper than electricity, at about 30% of the price. That means the cost of heating water using electricity is going to be a lot higher, even if you have a very efficient system. That much is fairly obvious, but even when you compare electric boilers to other forms of electric heating, the electric boiler doesn’t necessarily come out on top. Electric boilers probably have their place in certain properties. They are a simple, easy-to-install option but for many people there are going to be better ways to heat the home out there to look at. If gas isn’t an option, infrared, heat pumps or even oil boilers are all likely to be cheaper to run than electric boilers. If you are thinking of having an electric boiler in your property then we would advise you give us a call to discuss the best options. 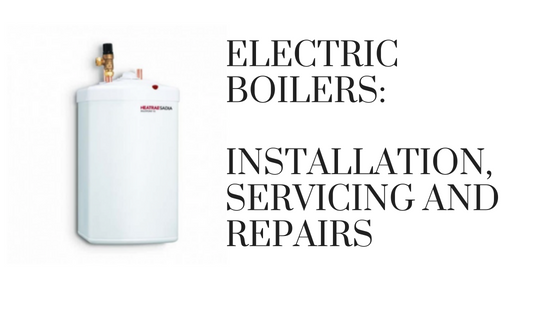 Servicing Electric Boiler – Are They Needed? We have installed a couple of electric boilers, but they aren’t very popular due to high running costs. Electric Boilers don’t need servicing in the same way as gas boilers. Gas boilers need servicing (essentially cleaning and checking that it is not going to spew out carbon monoxide) but electric boilers don’t have the same safety concerns. We would suggest they get serviced yearly both electrically and the wet side of the system valves pumps leaks and inhibitor levels signs of over heating of supply cables. Also to consider is if an electric shower is installed along with cooking and heavy load appliances this can have a potential to over load incoming supply. Although some devices are available to resolve some of these issues.